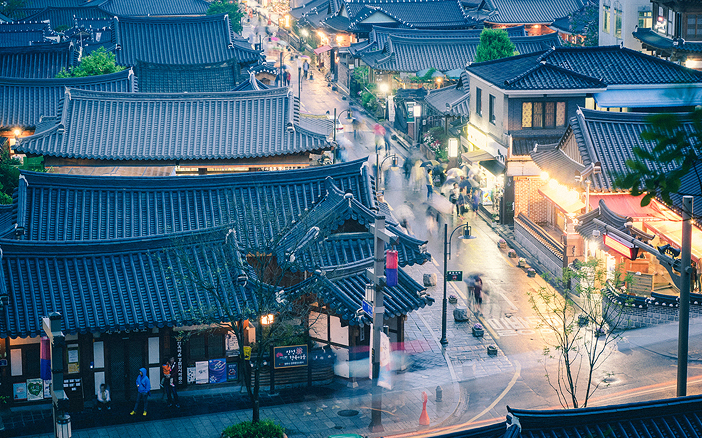 Hanok refers to houses built in the traditional Korean style. While tile-roofed and thatch-roofed hanoks were equally common, the former were typically noblemen residences while the latter were mostly houses of the commoners in the past. These days, most traditional hanok that are still lived in have modern facilities installed within. There are two main charms to hanoks. The first is the unique heating system of 'ondol.' A layer of stone is laid down below the flooring and when heated, the heat spreads up into every room of the house, keeping both the floor and the air surprisingly warm in winter. The use of ondol has influenced the Korean culture to a lifestyle of sitting on the floor, even in modern times. Because the floor is used for eating, sleeping, and general leisure time, people take off their shoes when entering a Korean home. This custom started with hanok and the ondol system. 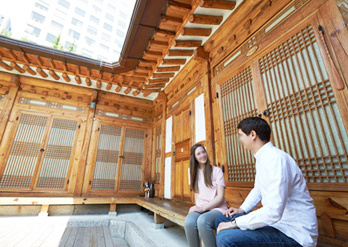 The second attractive point to hanok houses is that they are environmentally friendly. The materials needed to build a hanok house are free from chemicals, making it a healthy environment. The pillars, rafters, doors, windows, and floor are wooden, while the walls are a mixture of straw and dirt. The paper to cover the frames of doors and windows were made from tree pulp. As the building materials used are all natural, hanok houses have excellent breathability, perfect for escaping the summer heat. 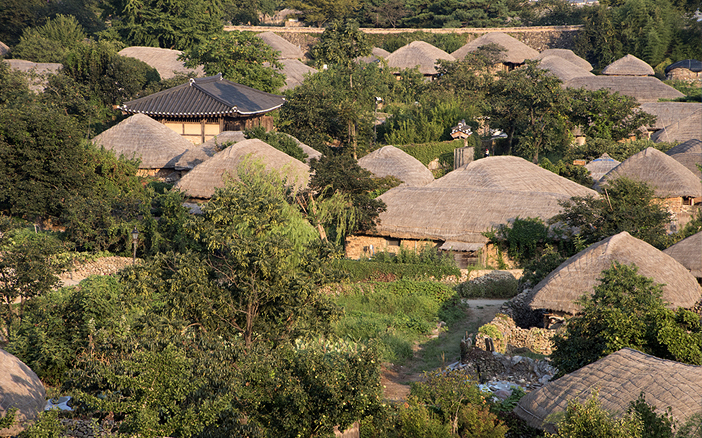 Experience the traditional culture for yourself through the many hanok villages in Korea, including Jeonju Hanok Village, Andong Hahoe Folk Village, Bukchon Hanok Village, Namsangol Hanok Village and Naganeupseong Folk Village.